I’m passionate about supporting companies to understand and connect with their customers as, in the long run, that’s the only way for companies as well as brands to stay relevant and ahead of their competition. Frederike is experienced in developing marketing concepts and brand management strategies for various organizations. 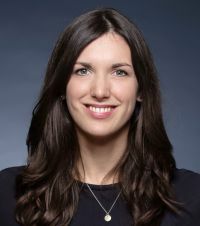 During her Bachelor studies in Business Administration and Business Psychology at the Leuphana University Lüneburg, she worked for a German flower retail company, mainly in the purchasing department and CSR. After graduation, she joined the International Brand Management of an international company in the chemical industry and gained experience in the start-up scene. Besides working for TTE, she is currently doing her Master program in Business Psychology at the Nordakademie Graduate School and is specialized in Consumer and Organizational Psychology. In the past years she has lived, studied and worked in Valencia, Spain, and Seoul, South Korea.